Now here at Y.I.F. we always like to keep our ears to the street for new talent and Ms Phoenixx Rocks has come right on time. The singer/songwriter who hails from Brooklyn is finally taking the spotlight from behind the scenes. The eclectic songstress who started her journey in music at the age of 3 as a flutist and poet quickly learned that her words & talent can be turned into a career. 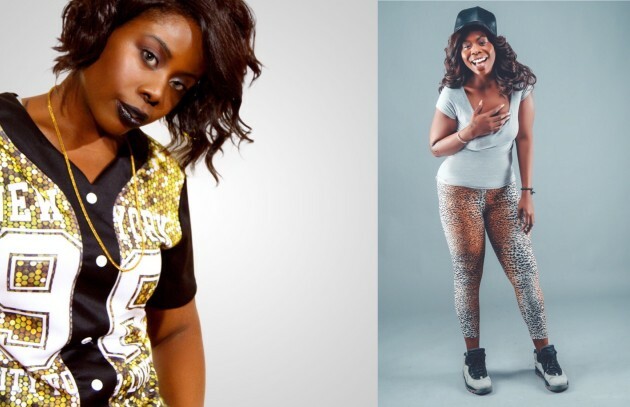 Phoenixx then teamed up with singer/songwriter Lil Eddie which opened the doors for her to work with many producers & artist like Mario Winans , Danjahandz , Kwame , Soul Diggerz , Arkitechs ,Misto n Pizzi , Jimi Kendrix & more. This has also lead her to hit the hit the stage with acts such as Yummy Bingham , Shaliek River , Shorty Roc , Steff Reed & more on legendary stages like 106 & Park ,SOB’s , BB Kings , The Bitter End & Crash Mansion . The Soul Train & Out Award nominated songtress has finally stepped out into the spotlight as an artist with her funky sound which is a mixture of everything from R&B , Gospel , Pop & Hip Hop . Get into some of her flavorful covers of classics like Queen Latifah’s ‘ Just Another Day ‘ & Missy’s ‘ All In My Grill “ and listen to our in depth interview below to see why Ms Phoenixx Rocks is one to be watched. Look for her upcoming EP ‘ Bamboo ‘ to drop this spring and follow her on all social networks at @PhoenixxRocks to see whats next for this rising star.